Have you ever wondered about the quality of air that you breathe in at your homes or commercial complexes? A closer look at your ducts could really alarm and startle you! 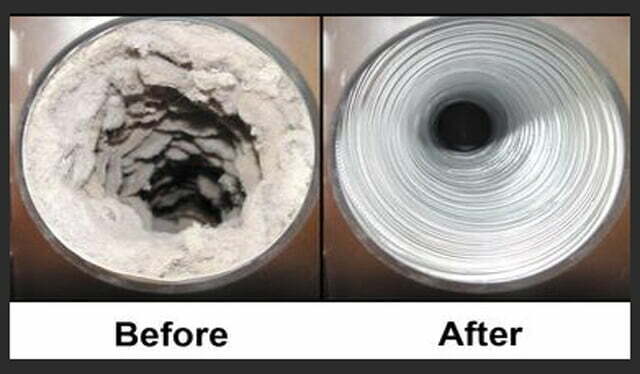 Yes, ducts if not cleaned properly and regularly could pose serious health problems for you and your family. So it’s imperative that you prevent moisture from causing fungal growths in the ducts in your premises. 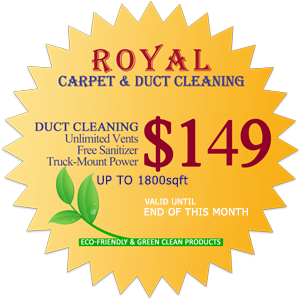 Royal Duct Cleaning is here to give you those super clean ducts that will purify the air quality in your home or office. We ensure that the micro-pollutants in the ducts are removed so that you breathe in pure fresh air into your lungs. This impure air can cause allergies and other health problems resulting in symptoms such as headaches, breathing problems, sinus attacks and disturbed sleep to name a few. 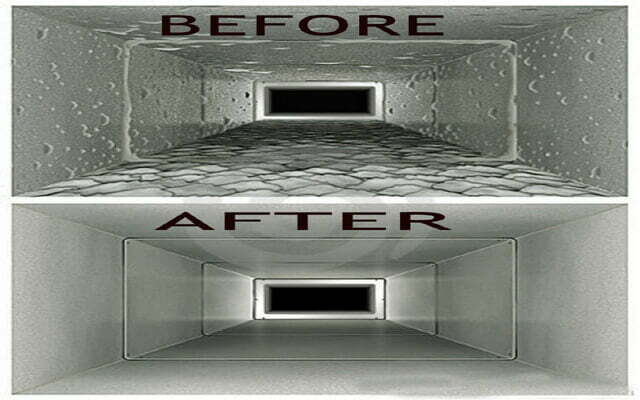 Our professional duct cleaners who are experts will use the most state-of-the-art equipment to extract all that unwanted dirt and debris in the ducts to highly improve the circulation and quality of air in your premises. Royal Duct Cleaning recommends cleaning your ducts once in every three to five years. With our high-quality services, the ducts will work more efficiently thus saving on energy costs as with blocked ducts your furnace or air conditioner has to work more intensely to maintain the appropriate temperature. NEW MONSTER TRUCK MOUNT Air Duct Cleaning system powered by a Brand New 2015 Mercedes Truck. It is recommended that you clean the whole of your HVAC (Heating, Ventilation, and Air Conditioning) to get good duct cleaning results. Elimination or reduction of household allergens; such as mold, dirt, debris, pollen, animal hair, and other bad contaminants. Elimination of house dust settling on furnishings. HVAC system energy improvement, resulting in lower costs, payless and save more. Enhanced air flow for better heating and cooling all year around. Designed for the 21st Century, the powerful Truck mounted cyclonic and pressure static vacuum has been exclusively designed to meet the requirements and the needs of our clients. Professionally Trained & Licensed Technicians, are fully bonded and fully insured. In addition, all our employees share the company’s Royal values of hard work, courtesy, punctuality, and enthusiasm. 30 years of combined experience. We use the latest equipment and best products for superior results. No hidden costs, Satisfaction guaranteed. Our certified technicians arrive at the cleaning facility according to a specified service time window and greet the client. We start off by doing an initial walk-through of the home or office with the client making sure to ask and understand any concerns or questions the client has. For the cleaning we have to turn off the system for hook up. Our truck-mount unit is equipped with the latest Black Magic Hose which is scratch-proof friendly. We run the hose into the furnace room either down the steps or basement side window. Opening made for access to main supply line. This allows for full negative suction of duct lines. With your system under the powerful vacuum suction we will open and clean every vent with high pressure air at up to 300psi, then we will clean the inside walls, top and bottoms of your all ducts removing the banked dirt and dust (Brushing improves cleaning quality by removing the dirt, debris, and other contaminants that air washing alone leaves behind). This is an important step to eliminate all the micro bacteria and allergens ensuring a clean and healthy atmosphere in your home. These are the larger lines that contain the greatest amount of dust and dirt particles impossible to see. This is done either with scrapping tools or a special high-pressure Bazooka System. This is an additional service not part of your duct cleaning. Sometimes the fan (blower) and AC coil inside the furnace needs a cleaning and requires extra attention, only a licensed technician can advise and perform this service if needed. Extra charges apply. We will repeat the process for Return Duct Lines cleaning cold air registers, joist lines and J channel. The technicians will balance the air inside your duct system by adjusting the dampers to ensure your system is efficiently provided air flow equally throughout the home. Sometimes compressed air and sanitization is not enough. 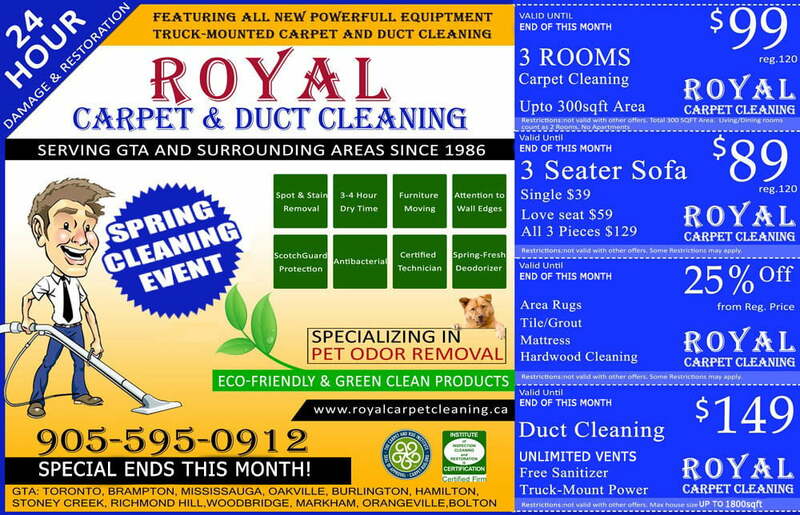 Royal Duct Cleaning is also licensed and equipped to offer a special procedure that will completely Fog out your system from start to end. Only a licensed technician can advise and perform this service. Extra charges apply. Once everything is cleaned and we have performed a post-cleaning inspection we wrap up our equipment and seal off all opening used proper sealing tools to ensure a completely sealed and efficient air duct system. All of our services come with our satisfaction guarantee and we stand by our work. The technicians will explain anything we come across that affects your air ducts and advise using proper NADCA protocols.